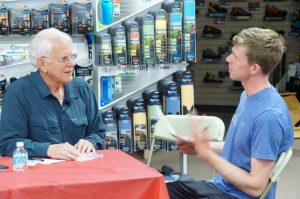 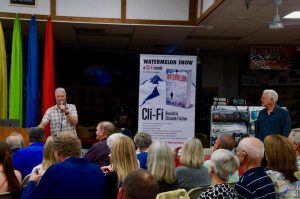 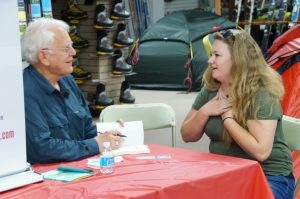 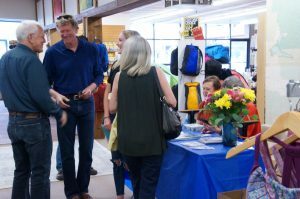 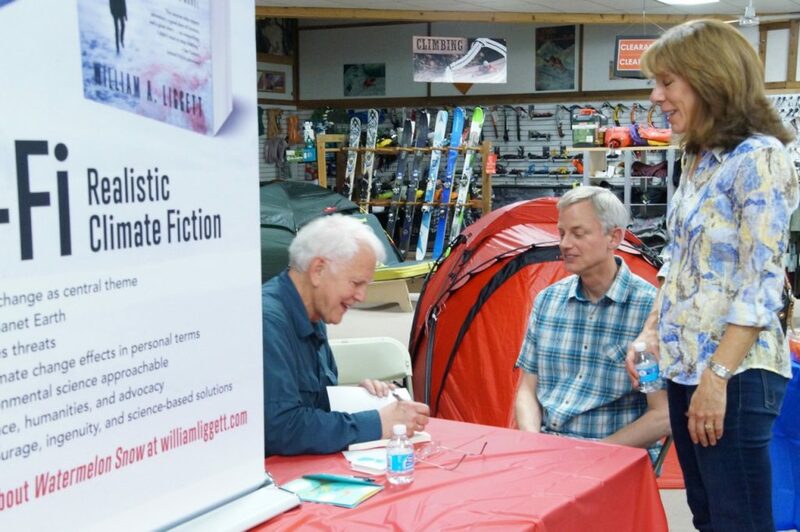 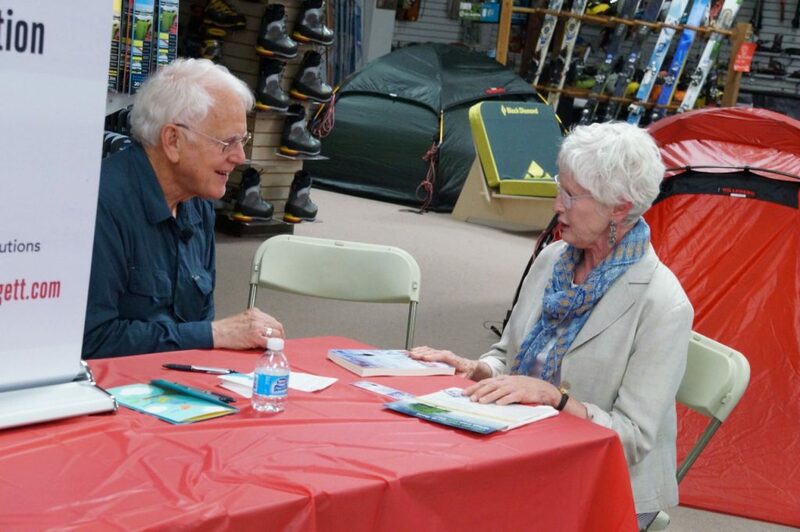 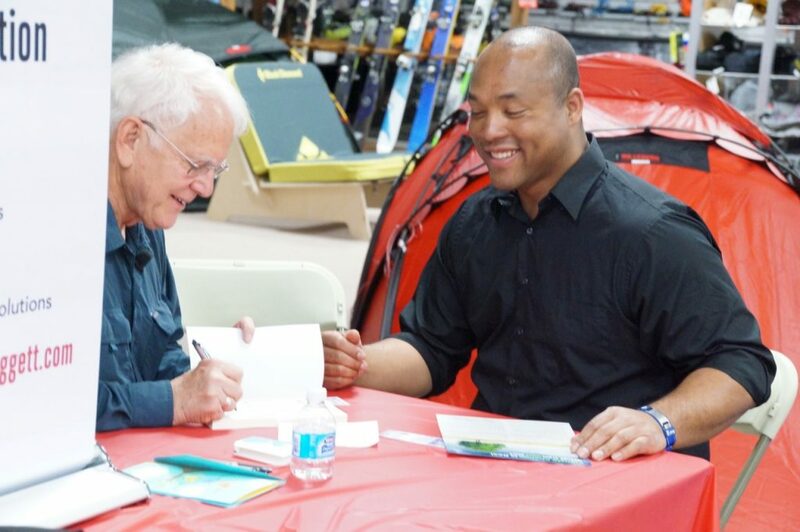 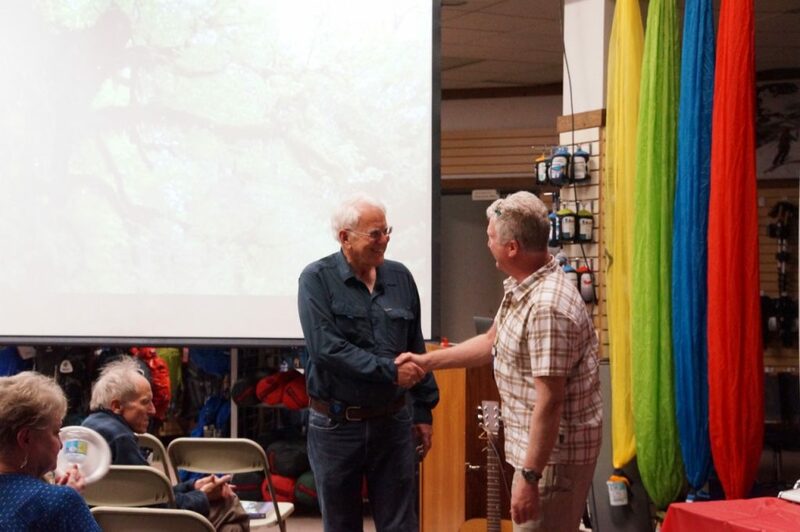 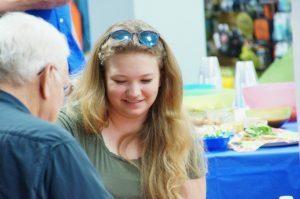 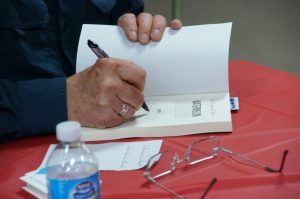 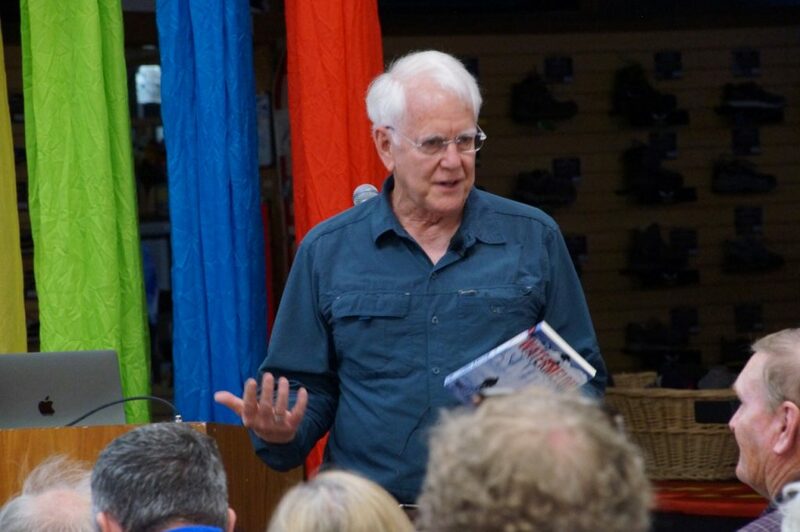 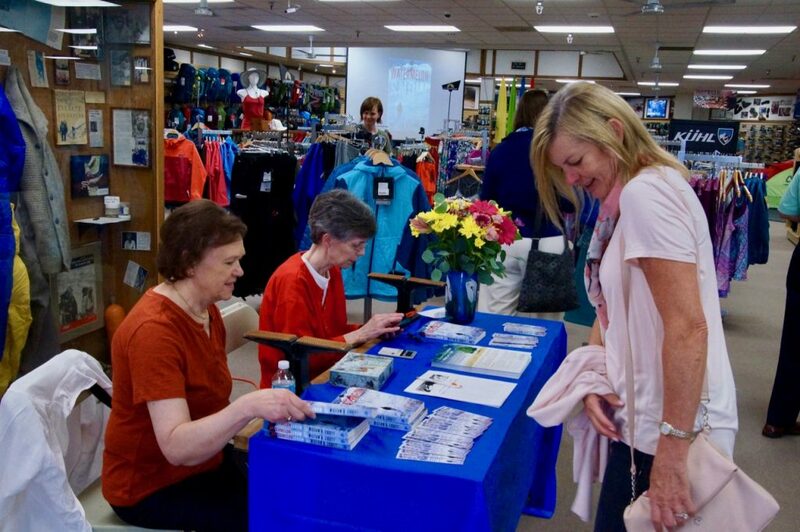 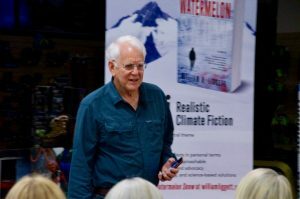 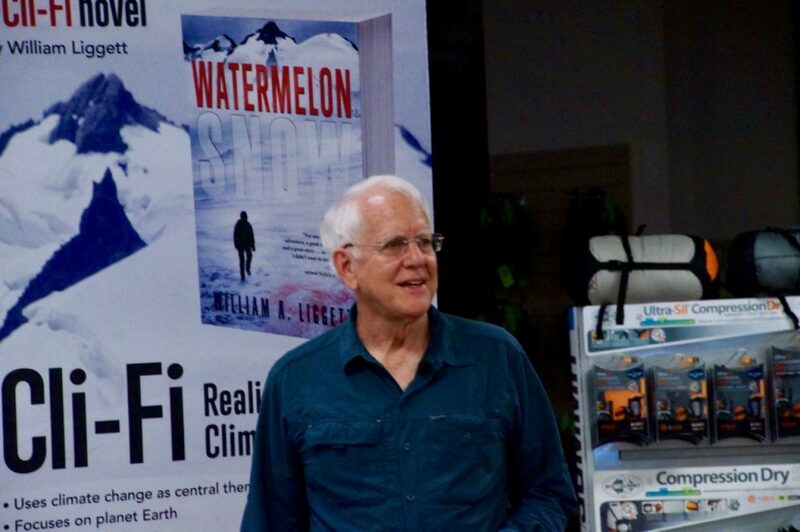 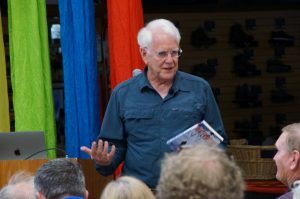 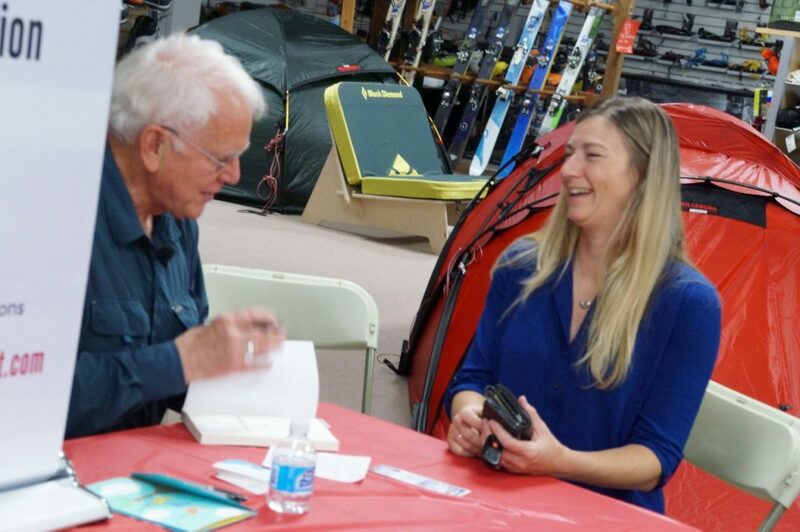 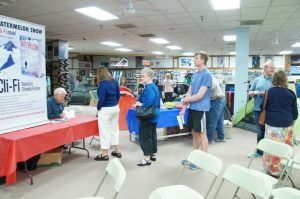 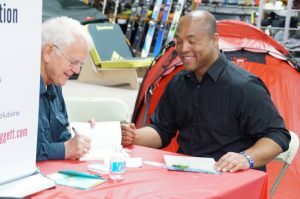 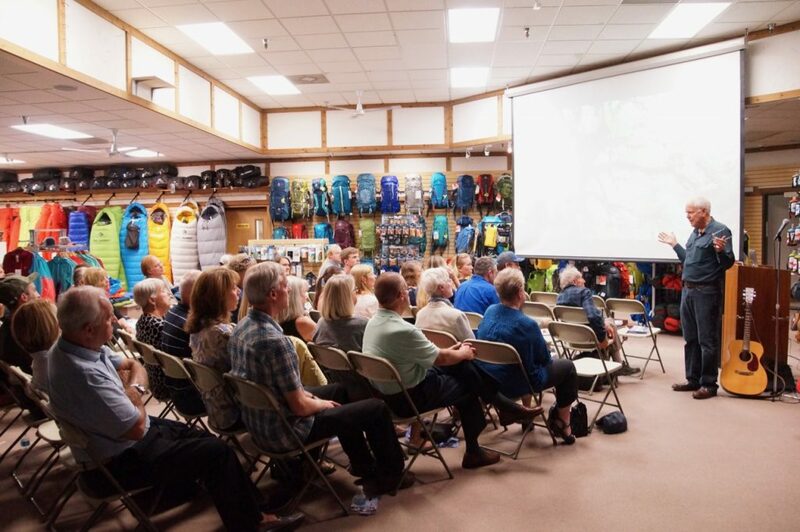 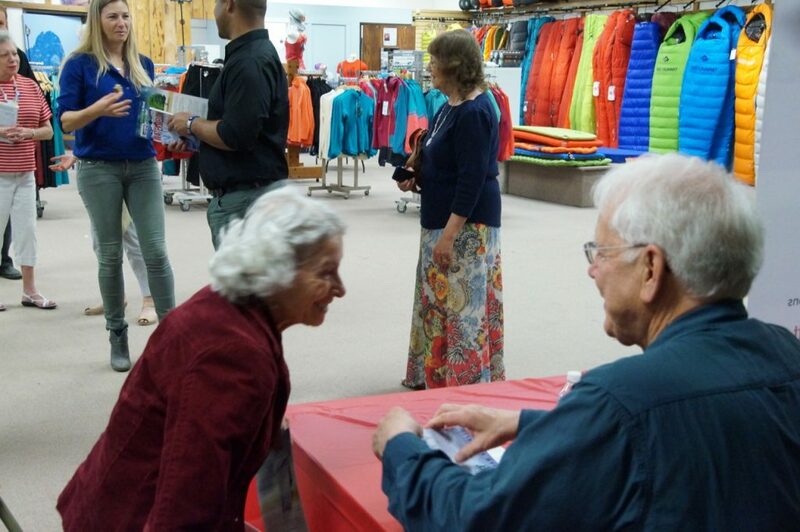 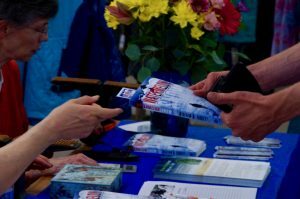 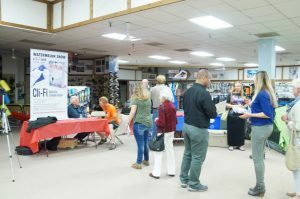 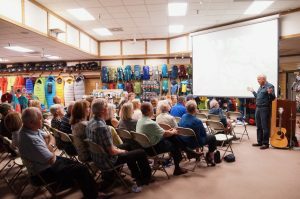 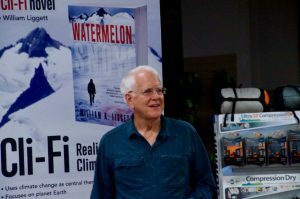 Nepture Mounaineering, Boulder, June 1, 2017 — William A. Liggett held a rousing, well-attended book launch for his new cli-fi novel, Watermelon Snow. 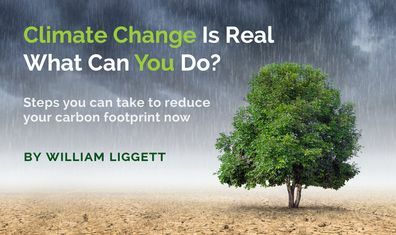 After a short presentation, he spoke with the attendees and signed their books. Check out some photos of the event below.